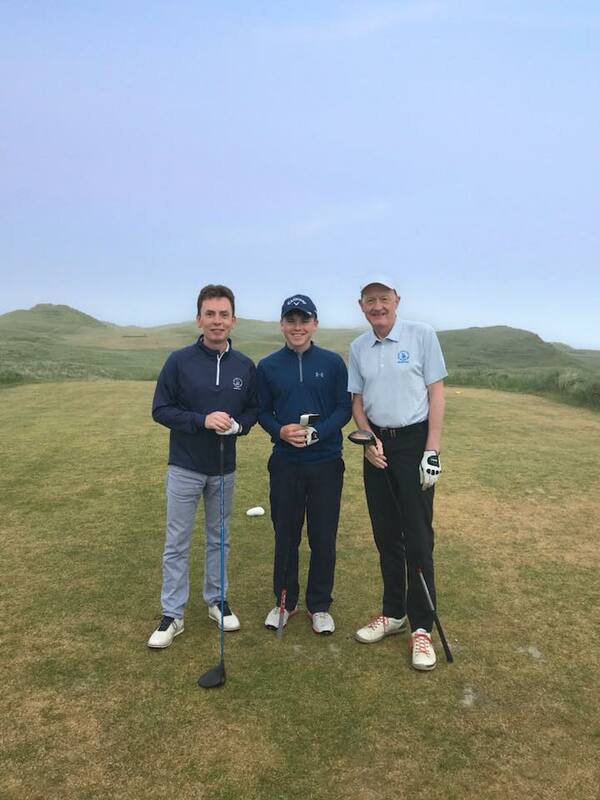 Following last night's exhibition match in Áras Inis Gluaire, Ken Doherty and Steve Davis teed it up on the first tee at Carne at 10:04 this morning. They also played yesterday, always better to play a course twice!! It's not Ken's first time to visit Carne as he played here many years ago but for Steve it's a first. 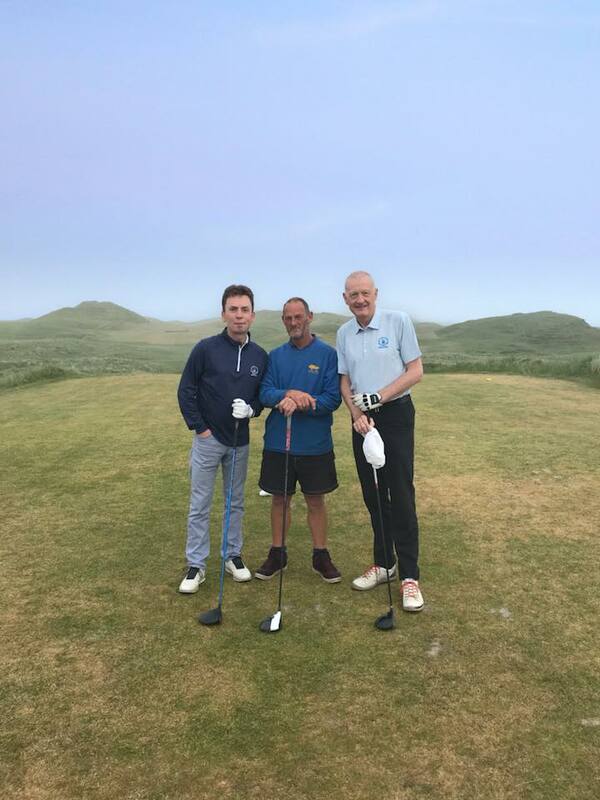 Although it was a little foggy when this picture of the two master cue men and Erris Tourism Chairman Gerry Maguire was taken, the sun quickly burned that away to leave yet another very warm day in this fantastic spell of early summer weather. No doubt the loser last night will be hoping to recoup some of his losses on the fairways of Carne. 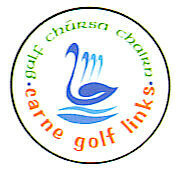 And even less doubt that they will both enjoy it with the course in great condition at present. 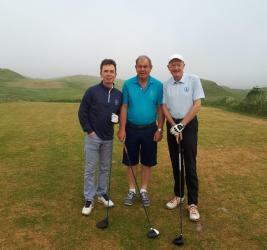 and Gary Stanley played a few holes too.